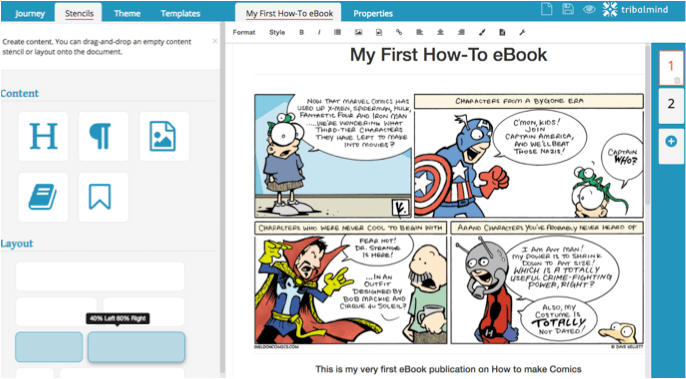 Turn what you know into stylish and reusable eBooks, whitepapers and lead magnets. 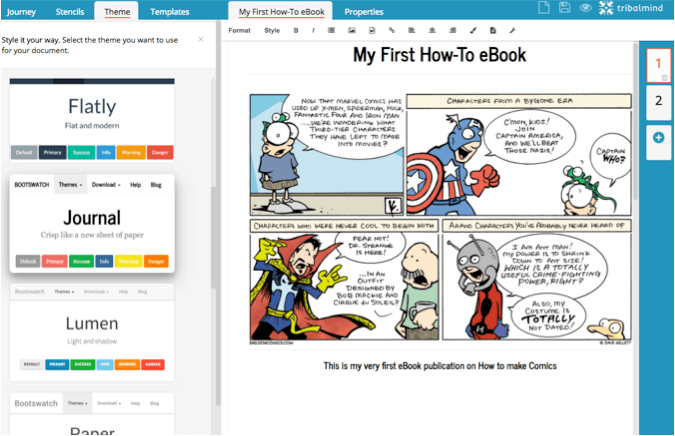 Whether you are in a meeting, surfing the internet, or working on a document…simply grab any content you want to remember and drop it into TribalMind. Great for researchers looking for a place to store all the content you have found. Looking for your next investment property? Use our handy chrome plug-in to grab research, images, web sites, video, documents and even sound recordings and add them into TribalMind. Running some projects at work? 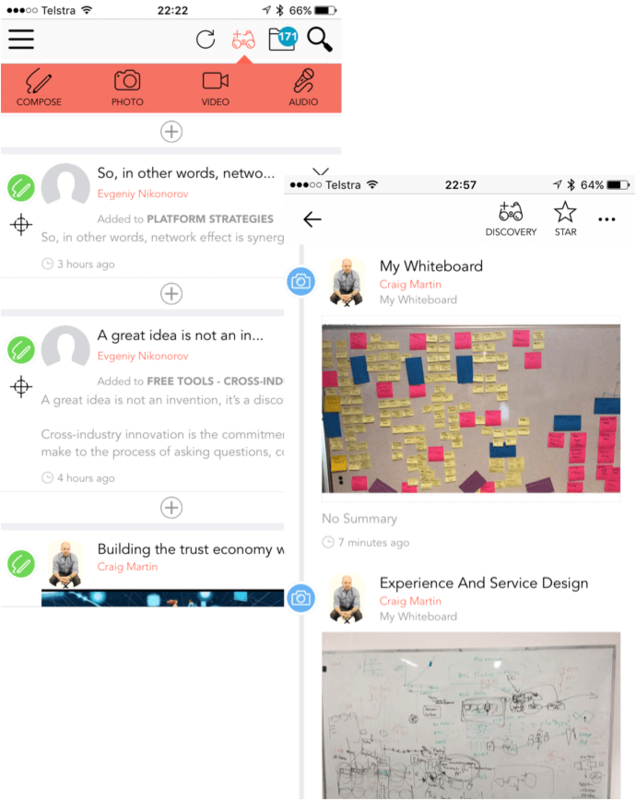 Take photos of all your workshops using our iOS app. 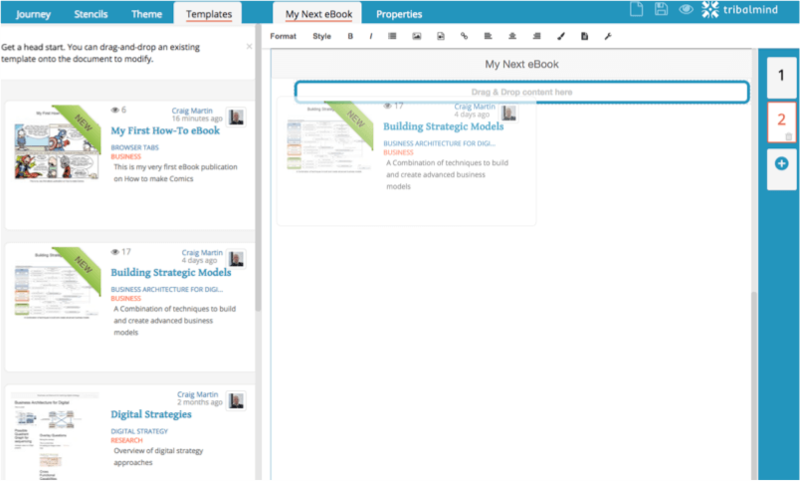 Snip your screen designs and wireframes from your designs and drop them into TribalMind. Collaborate with others to extract their insights. Tap into their experiences and knowledge for synthesis later. Choose from templates and themes to create a styled eBook from all the content and insights you have captured. Drag and drop using stencils and themes. 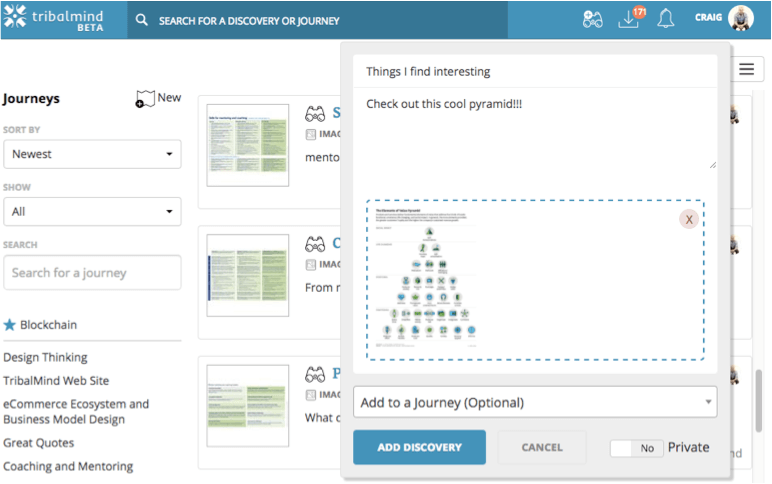 TribalMind allows you to create visually appealing publications to summarize your digital journeys. 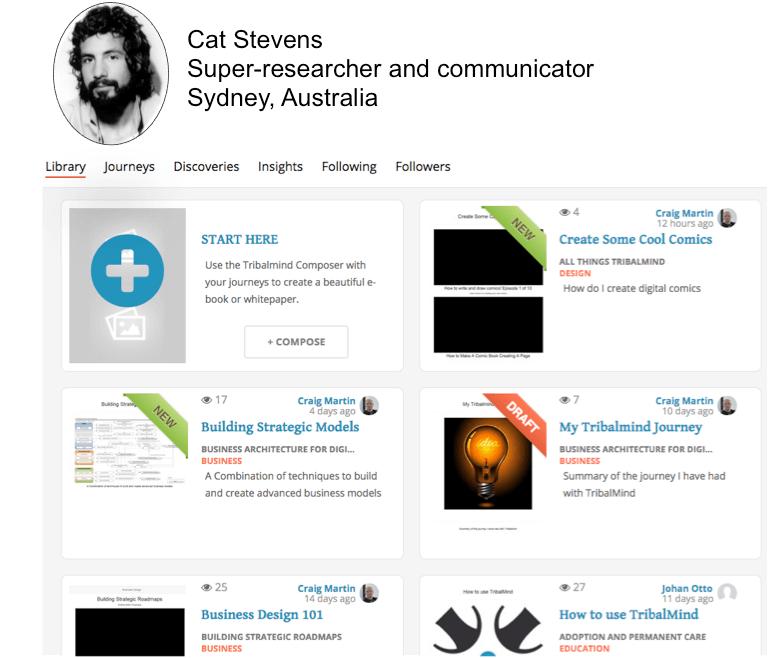 Create published works that you can use as lead generators on social media channels. 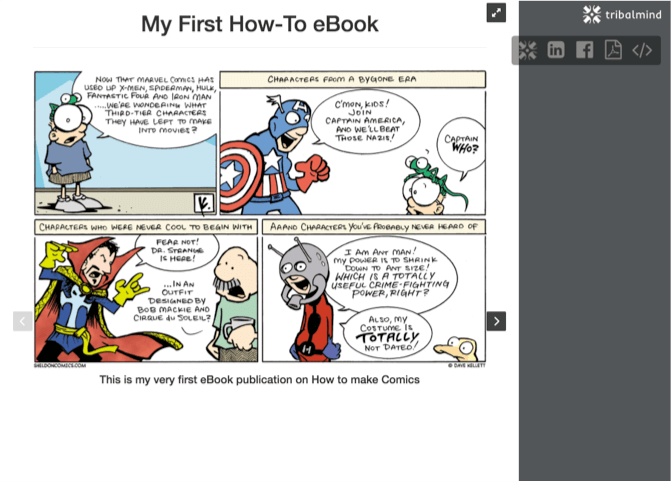 Download as PDF eBooks or embed into your websites. Find and reuse other published eBooks that others have created. Create your own library of published works that you can use to share with others, build your reputation, and reuse for other projects. Turn your published works into templates that can be reused and built upon. No more re-inventing the wheel. We believe that the internet is changing. The age of information is shifting to an age of value or the age of the idea. Human knowledge is being commoditized at a frenetic pace, meaning that the ideas we had 5 years ago are now commonplace, and more often than not, free. With the arrival of technologies such as Blockchain, this shift will begin to occur. Meaning that the way we exchange value, and specifically digital value, is going to change. At TribalMind, we believe that every conversation, every email, every message represents a value exchange – they are the micro-cents of this new economy. Depending upon who you are interacting with, the value is either higher or lower. Lets face it, chatting to Richard Branson around how to build a successful start-up is a bit more valuable than having a conversation with a street sweeper. The beauty is that even that street sweeper, in a different context, has his own value to add to a conversation. The challenge we set for ourselves in TribalMind was to build a digital economy where you could begin to track these exchanges. We have an ambitious vision, what you see here is only the first part. This part allows you to capture the bits of information from digital interactions that you find valuable. 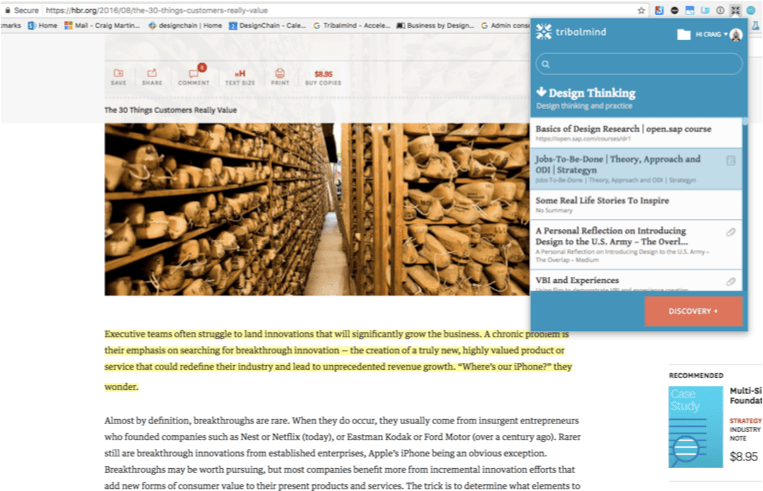 It then allows you to synthesize these into documents (eBooks and whitepapers) that create more value – the dollars of the economy. 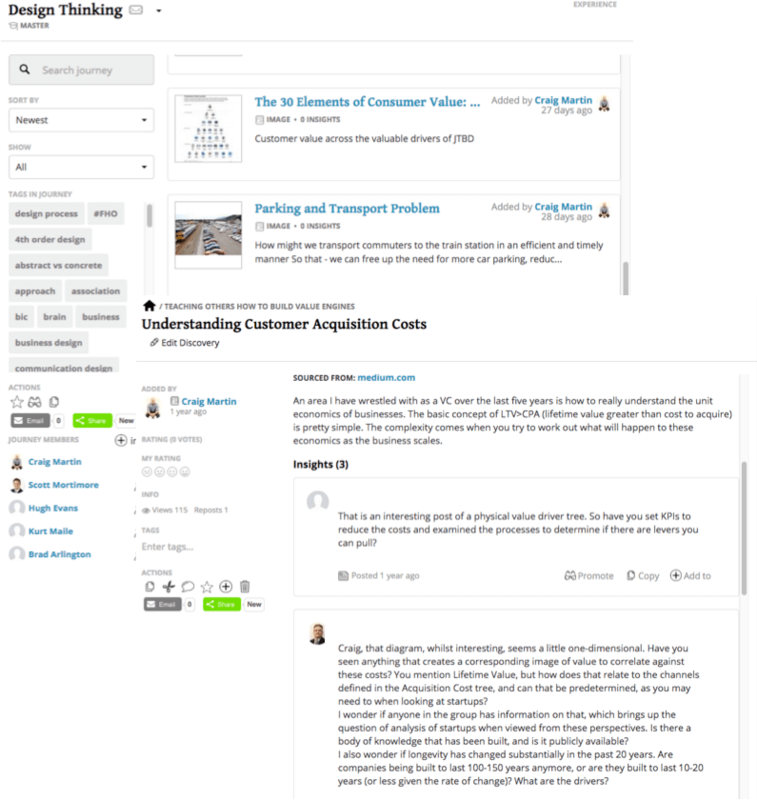 We see it as more value because, quite simply, you have added your insight into it. Depending on how many people access your published documents and reuse the whole or parts of it, the value increases, and so too does your value in the network – a digital economy of value. Now we have some interesting AI (artificial intelligence) sitting behind all this, watching…learning. We hope to release it once we feel its learnt enough. In the mean time make use of TribalMind to help you create beautiful published works of all you learn on this journey of exploration called life. And we will keep you posted as we move towards our vision. In addition to a variety of business consulting roles Craig has had over his 20 year career, he has also been involved in the startup of successful product & service organizations in both Africa and Australia. He is a recognized conference speaker in the domains of business architecture and the design of business. Actively involved in his community, Craig teaches children as well as adults through his church and businesses. He is passionate about uplifting others through education and problem solving, the two spaces that TribalMind merges together. He currently lives in Melbourne Australia with his wife of 17 years, a ballerina loving daughter, a maths genius son who will no doubt develop version 5 of TribalMind, and two lazy greyhounds. Craig has no musical instruments and has no plan to ever own any. He remains the occasional unfortunate recipient of Jeff's sense of humor. This is one of the many reasons why him and Jeff balance each other out and work so well together. Jeff is a Project Manager, Business Analyst, Scrum Master, Agile process consultant, and generally a pretty good guy. In his 16 years of experience he has also started a few successful consulting businesses and has played some senior roles in different organisations. Usually drawn to processes and places where there is some change taking place, he thrives in the chaos of it all. Jeff has a sharp sense of humour and he's not afraid to use it! He loves a good movie, is into music and has a sort of interest in sport. Jeff plays the guitar and that is why he has 3 of them. His excuse is that he's trying to figure out jazz & blues pentatonics. Jeff is living the happily ever after with his wife of 15 years. They have two daughters, who are just like him, full of adventure, faith, and an entrepreneurial spirit. Jeff currently works with his best mate. Collect your discoveries, create publications and share it amongst the tribe.